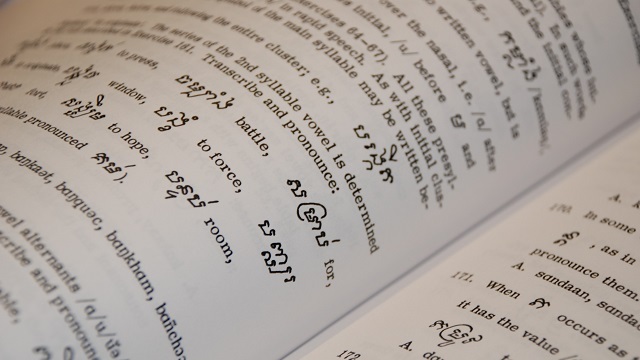 FLAS fellowships are designed to support graduate and undergraduate students who are studying Southeast Asian languages and area studies courses at Intermediate level or higher. Languages for academic year fellowships are Filipino, Indonesian, Khmer, Thai or Vietnamese. In summer, additional SEA languages are eligible. The U.S. Department of Education Foreign Language and Area Studies (FLAS) fellowship program supports training in modern foreign languages and related area studies. New and continuing graduate students in all disciplines may apply for academic year and summer awards for Intermediate or Advanced levels of language study. Beginning level of a language may be undertaken by graduate students if the student already is at advanced level in a second Southeast Asian language. Undergraduates already enrolled at UCLA who will be in student status for the duration of the fellowship, may also apply for both awards but only for Intermediate and Advanced levels of language study. Currently approved SEA languages for FLAS study are Indonesian, Filipino/Tagalog, Khmer, Thai and Vietnamese. (Intermediate Khmer is not taught at UCLA but can be available via distance learning from UC Berkeley during the academic year.) Students must also agree to submit quarterly reports on their progress, submit before and after language assessments to the U.S. Department of Education, take a before and after oral proficiency examination with a designated instructor, and report to the U.S. Department of Education every two years for eight years after graduation on the recipient’s occupation and the extent to which the FLAS language is being used. Academic performance and potential as evidenced by academic transcript, letters of recommendation, and statement of purpose. The extent to which overall course of study focuses on Southeast Asia. The level of planned language study. More advanced levels are preferred. These grants may be combined with supplementary funding from UCLA and/or other funding agencies. However in cases of parallel large grants, recipients will have to decide which grant to accept and pairing will not be allowed. Grantees are required to inform the Center of any awards received during the FLAS fellowship period. Summer 2019 fellowships are for intensive language programs only. They provide a stipend of $2,500 plus tuition and fees to a maximum of $5,000, and (optional) up to $1,000 for travel. FLAS funds may be used for intensive summer language study at UCLA or elsewhere. A letter grade is also required. Non-language programs are not eligible for summer FLAS funding, nor is dissertation research. In order to qualify for funding, the summer intensive language program must last at least 6 weeks and provide at least 140 contact hours for beginning and intermediate level courses, or 120 contact hours for advanced level coursework. UCLA students who wish to attend the Southeast Asian Studies Summer Institute (SEASSI) should simultaneously apply for admission as well as for other funding directly to SEASSI http://seassi.wisc.edu/ and for FLAS funding through the UCLA Summer 2019 FLAS application. Qualified applicants should apply for all possible scholarships to maximize opportunities. Academic year 2019-2020 fellowships (contingent upon the availability of funding) are awarded for nine months and provide a total stipend of $15,000 for graduate students and $5,000 for undergraduates. Academic Year tuition and fees are paid up to $18,000 for graduate students and $10,000 for undergraduates. The Academic Year fellowship requires that students take one Southeast Asia language and one area studies course for a letter grade each quarter for the entire year if in residence at UCLA. Independent Studies are allowed with specific permission. It is expected that AY fellowships will be used at UCLA unless specific approval is given. AY awards may be used for dissertation research for students at the advanced level of language proficiency, but this must be approved in advance. Since the purpose of the FLAS program is to enrich the nation’s pool of area and international specialists, applicants must be planning to use their training to teach, to serve in government or international agencies, or to engage in other work that advances American understanding of other countries. Fellowship recipients must be engaged in full-time study for the duration of their awards. All requested information on the application should indicate student status as of the proposed fellowship period. All FLAS applications must be submitted online by the deadline of February 22, 2019. Applications may be submitted for both competitions, Summer 2019 and Academic Year 2019-2020, but separate applications including submitting duplicate letters of recommendation are required. Please review the FLAS Frequently Asked Questions. The deadline for submitting a FLAS fellowship application, including for faculty to submit letters of recommendation, to UCLA is February 22, 2019.